Aviva has launched a new smartphone app that could save good drivers as much as 20% off the price of their car insurance. The app, called Aviva Drive, works with Apple or Android devices and monitors driving over 200 miles before awarding a score - and a discount for good drivers. However, unlike black box telematics systems, using it is completely optional. You decide when you want it to record your journeys and if you score badly after 200 miles is up you can simply delete the app off your phone and pay your usual premium, with no penalty. If you’re confident in your abilities, though, then you can save up to 20% off a quote from Aviva – which the insurer claims around one-in-five users manages to do. Those who don’t get full marks but still drive well can qualify for smaller discounts, too. You decide when you want it to record your journeys and if you score badly after 200 miles is up you can simply delete the app off your phone and pay your usual premium. The app itself is incredibly simple to use – set it up and press go at the start of a journey and then press stop at the end. It monitors cornering, braking and acceleration and gives a score based on how safely it thinks you drive. It tots up the scores from all of your journeys until you get to 200 miles and then gives a final score. Aviva hired Le Mans and F1 start Johnny Herbert to show the best driving techniques – oddly enough racing principles help make a safer driver. Smooth and progressive steering, throttle and brake inputs will get you a good score on the Aviva Drive App – but at lower speeds than in a race! Because the app monitors your driving over a long period of time it evens out any odd mistakes – so if you need to make an emergency stop once over the 200 miles then you won’t be penalised. It also provides ‘badges’ to reward things like perfect cornering or economical driving, which you can share on Facebook or Twitter. For those who don’t want to have their privacy invaded by a telematics ‘black box’ system but still feel confident that they’re safe and want to be rewarded it’s the perfect middle ground. You can download the Aviva Drive app from the Google Play store of from Apple iTunes. Watch the video below to see how Johnny Herbert got on with three 'stereotypical' drivers. 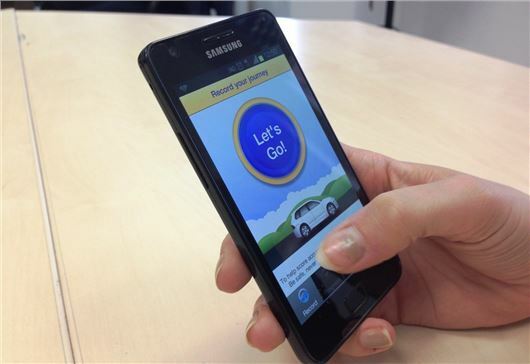 Aviva will publish each of the three drivers' performances with the Drive app soon.